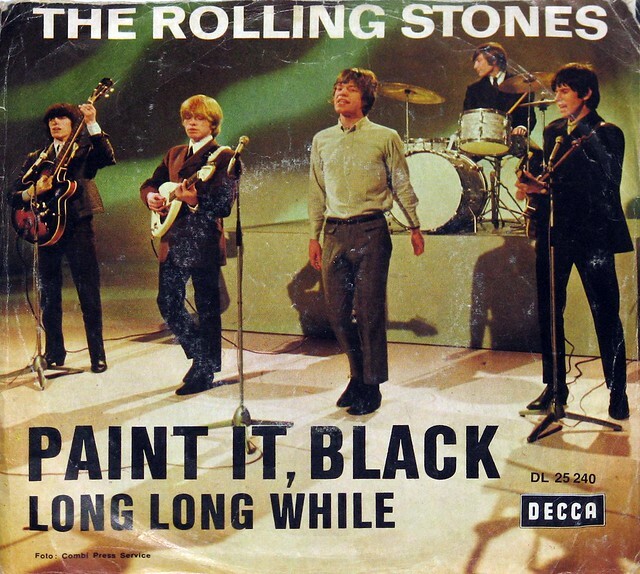 "Paint It, Black" is the song released by The Rolling Stones, on 13 May 1966 as the first single from their fourth album Aftermath. It was originally titled "Paint It Black" without a comma. Keith Richards has stated that the comma was added by the record label, Decca. The song was written by Mick Jagger and Keith Richards. Brian Jones contributed to the song's signature riff. Bill Wyman claims in his books that the song was a collective effort of the group, a 'Nanker-Phelge' one, but mistakenly credited to Jagger/Richards at the end. The single reached number one in both the United States and the United Kingdom charts in 1966. In 2004 it was ranked number 174 on Rolling Stone magazine's list of the 500 Greatest Songs of All Time. In the US and UK, it was the first number one single to feature a sitar on the recording. It is featured in the videogame Guitar Hero III: Legends of Rock.